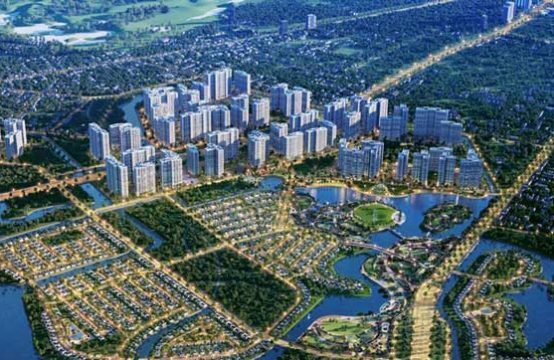 GS Metrocity Nha Be project is one of the largest international urban areas in South of Saigon invested by Nha Be GS Development MTV Co., Ltd. 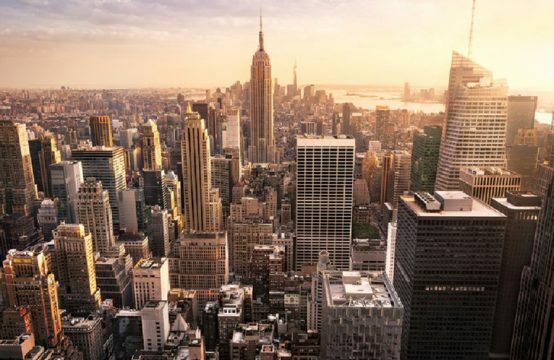 The real estate market has been flourishing recently, as evidenced by the increasing number of projects being imployed. Most large scale projects focus on quality and sustainable composition of utility and meet the needs of the masses. The most awaited project from many investors is the Gs Metrocity Apartment project in Nha Be. 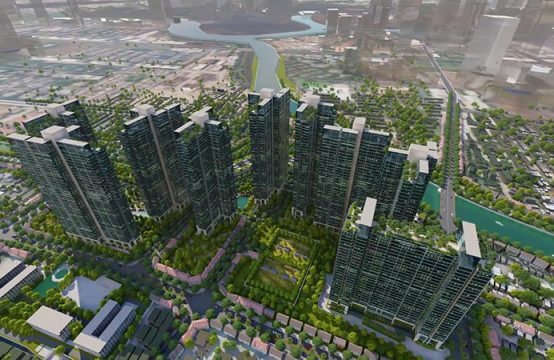 GS Metrocity Nha Be is a large-scale project up to 350 hectares. 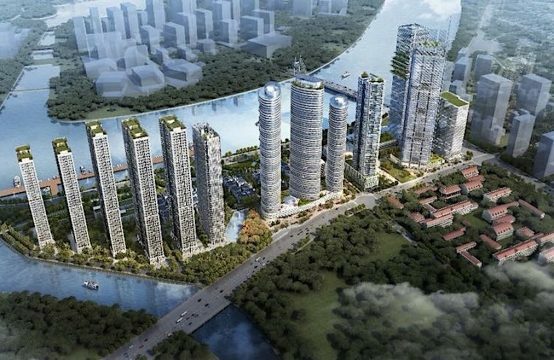 This project is expected to be the largest urban area in Southern Saigon after completion. 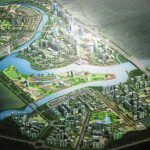 The GS Metrocity project has a prime location on the north-south road linking to the Hiep Phuoc Port urban area and the center of the city. 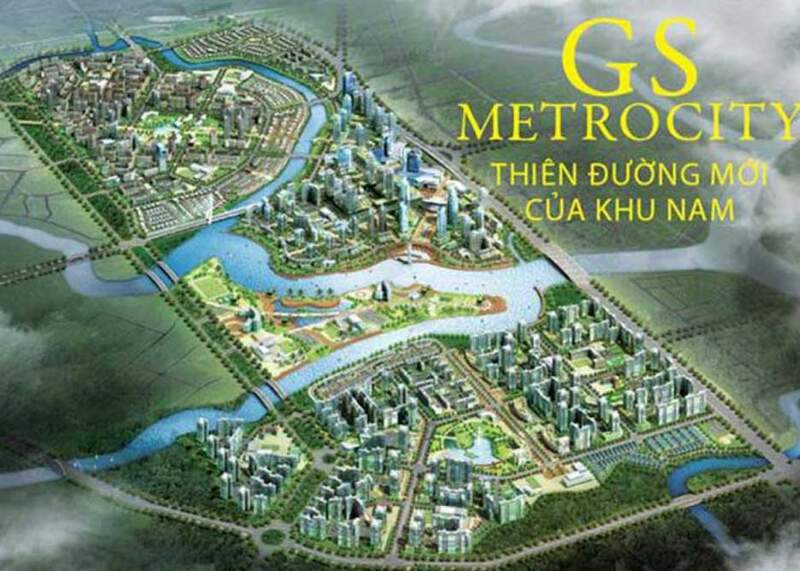 After a long period of ground clearance and completion of infrastructure, GS Metrocity Nha Be urban area will be immediately implemented in early 2017 and promises to bring a new classy and worthy urban area model in the Southern Saigon. – Owner: Nha Be GS Development MTV Co., Ltd.
– Total area: 349.36 hectares. + Zone A of the project: Linear urban area, covering an area of 115,155 ha. + Zone B of the project: The Center Peninsula area and Gateway City, with an area of 57,804 hectares. + Zone C of the project: Park City, with an area of 76,482 ha. Public area: An area of 34,438 hectares, including educational, medical, commercial and administrative buildings. Other functional areas: 53,233 ha. At present, Ho Chi Minh City Electricity Investment and Trading Joint Stock Company is completing the underground high tension wire system so that it can return the clean ground to investors in Q4 / 2016. 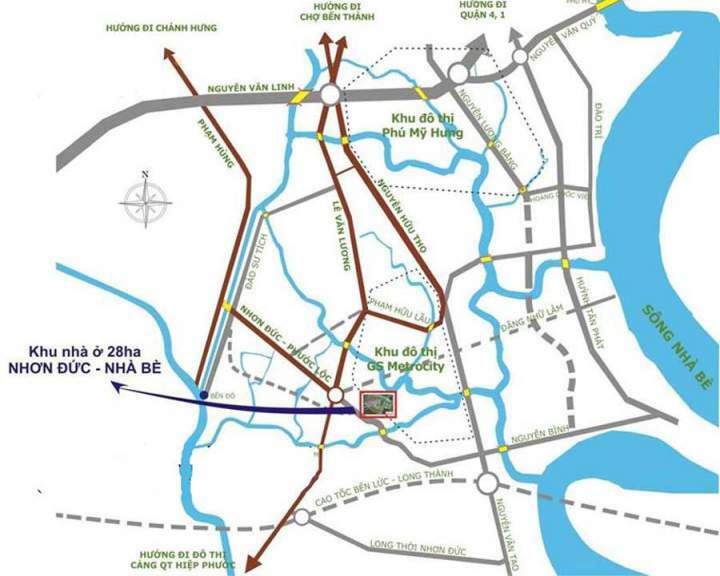 – The South borders on Nguyen Binh Street (40m wide). – The North is adjacent to Rach Ngo Bon and nearby projects. – The West is adjacent to neighboring residential projects. – The East borders on Nguyen Huu Tho Street (60m wide). + Gs Metrocity Nha Be residential area covers an area of 155.6252 hectares, mainly concentrated in the North (Linear Urban), and in the South (Park City) while some mixed-works areas are located in the center of Gs Metrocity Nha Be new urban area (Gateway City) with many types of houses such as villas, low-rise apartments, high-rise apartment and complex house. 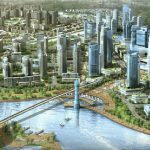 + The Metrocity Nha Be public works covers an area of 34.43872 hectares, including 2 types: one is public works at the district level with an area of 19,198.05 hectares consisting of educational projects, medical, commercial and administrative centers; the rest of 15,240.67 hectares is the type of urban public works. + Green area: total area of 39,460.60 ha, including green trees of housing units and urban green parks. + Traffic ground: total area of 66.0360 ha, including 34.997376 hectares of traffic ground for the housing unit and 31,629.84 hectares of urban traffic consisting of the square. Traffic systems are arranged to ensure the circulation of urban traffic. + Other functional areas in Gs Metrocity Nha Be include specialized green areas (isolated from the power line) with the area of 12,585.34 hectares; Technical infrastructure (power station, waste transfer station) with an area of 0.640,30ha; The water surface covers an area of 40.00880 hectares. 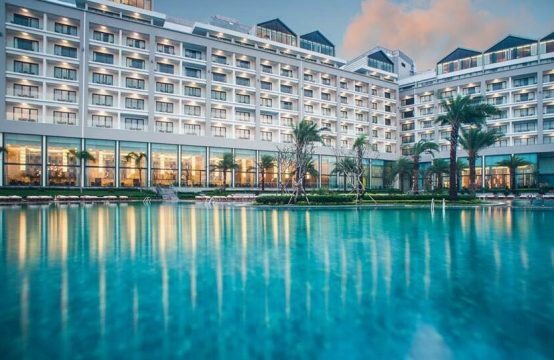 At present, Ho Chi Minh City Electricity Investment and Trading Joint Stock Company is urgently implementing the relocation of high voltage power systems to clear the ground for Gs Metrocitу Nha Be apartment project. For the construction of the line inside the project area of Metrocity Nha Be new urban area (on 10/19 foundation buttress), the contractor has completed the foundation buttresses and installed of steel pillars (10/10 pillars). As for the line outside the project area (on 9/19 foundation buttress), the contractor completed the construction 4/9 of foundation buttress and installed steel pillars. 5/9 other foundation buttress of the contractor has not been constructed because of lack of space, there is no compensational and supportive plan. 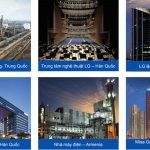 Besides, the construction of 3,929m underground cable system of 4 circuits 220kV substituting for 4.140 m of the line of 2 circuits 220 kV Phu My – Nha Be and 2 circuits Nhon Trach Nha Be is relocated. On the Nguyen Huu Tho road of 1,275m (including ditch of cable Cong Dinh – Mr. Bon). On the land of 1.292m of two companies – Phu Long Company and HD Real Company is planning to green park (now is vacant). On the land of 426m of affected households near the Nguyen Huu Tho – Pham Huu Lau intersection and 426m front of Nha Be transformer station. Currently, the implementation of the work is invested urgently, the contractor has not constructed the rest because there is no ground. Where does Investment potential in GS Metrocity Nha Be come from?